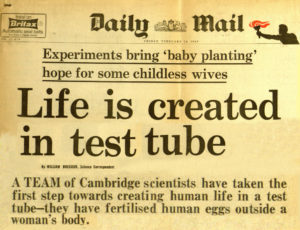 An exhibition has just opened at the Science Museum to celebrate 40 years of IVF, but the story started ten years earlier. 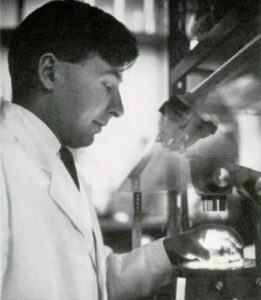 In December 1968 Robert Edwards, together with Barry Bavister and Patrick Steptoe, submitted a paper to Nature in which IVF in humans was described convincingly for the first time. But it would take ten long years before Edwards, a physiologist, and Steptoe, a gynaecologist, and Jean Purdy research assistant achieved global fame after creating the world’s first test-tube baby. Steptoe had pioneered the use of the laparoscope. His progress had fallen on deaf ears until Edwards came across a paper he had written describing his experiences and rang Steptoe up to discuss a possible collaboration. “Dr. Edwards feels the need to publicise his work on radio, television, and in the press, so that he can change public attitudes. Louise’s autobiography, “My life as the world’s first test-tube baby”, was first published on 1st August 2015 by Bristol Books and has been updated and is now available in paperback from booksellers and online: My life as the first Test-Tube baby.